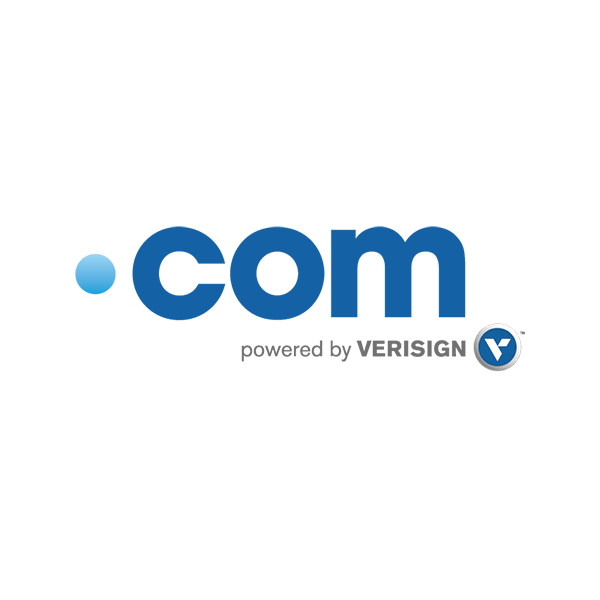 Instantly recognizable, the .com extension is the gold standard for domain names. One of the original and most popular top level domains (TLDs) on the web, a .com domain shows you mean business. The .com domain extension was created back in 1985 as one of the first six TLDs when the domain name system (DNS) was first implemented. From the beginning, .com was considered a trusted TLD before the Internet as we know it even existed. The very first website to claim the .com domain name was Symbolics.com, a computer manufacturer. Since then, over 130 million .com domains have been registered, greatly outpacing every other popular TLD. When you register a .com domain with Namecheap, you’ll enjoy free WhoisGuard privacy protection and two months of Private Email at no extra charge. Want to provide encryption and data security for your customers? Get PositiveSSL for an exclusive price for the first year with purchase of a new domain. And as with all Namecheap domain purchases, you’ll also get reliable DNS service and 24/7 assistance from our outstanding customer support team. The "com" in .com stands for "commercial", making it the ideal choice for businesses. However, any individual or organization can register a .com name for their company, blog, or personal site. If you already have a .biz or .net site, consider supplementing it with .com to protect your brand and generate more site traffic. If you are considering which TLDs might be suitable for your website, you can be certain that a .com domain guarantees credibility for your online presence. After all, with a .com domain name extension being purchased every second, there is no doubt of its value. Every Fortune 500 company and most leading startups have a .com domain name. Why not join them? Already have a .com for your business? Register variants of your site name so your customers can always find you. It's super easy to set up a redirect.